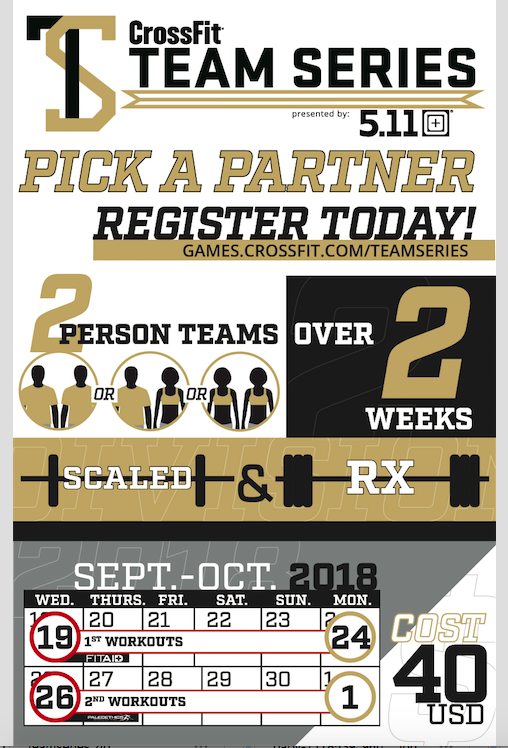 The 2018 CrossFit Team Series is just around the corner. Get your friends and affiliate members hyped about the competition with this new printable Team Series poster. Download here.